201 housing associations have pledged to tackle homelessness by signing the Commitment to Refer, an initiative launched by the National Housing Federation in October 2018. 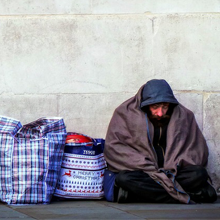 Following the introduction of the Homelessness Reduction Act in October 2018, many housing associations expressed a strong desire to support the Act and work together with local authorities to tackle causes of homelessness in their community. The challenges in delivering the homes that we want and need are complex. Our homes impact our wellbeing at every level. We are currently inviting submissions to present from those leading lights that put people at the heart of all that they do, in the design, build and delivery of homes in the UK. The philosophy behind the programme is ‘while it may be difficult we shouldn’t settle for less’. We are all well-versed in the problems so the forum will be refreshingly solutions-based. The vibrant, interactive forum will equip you with the latest best practice in the design, build and delivery of homes that meet the needs of every demographic. 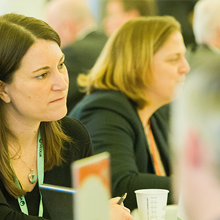 It will bring together the stakeholders responsible for delivering the most innovative projects and create the perfect environment for you to network, develop valuable business connections, and explore solutions for the many design, construction and funding challenges that UK housing is facing. 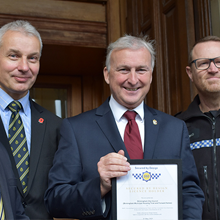 Birmingham City Council has become the first local authority to join a scheme run by Secured by Design (SBD), the national police crime prevention initiative, to build-in crime prevention techniques into all its new social housing developments to help keep residents safe. SBD’s UK-wide National Building Approval (NBA) scheme provides organisations and private building companies with an easy and cheap route to ensure their standard house and apartment building types achieve the security requirements contained in the building regulations. SBD does this by taking on the tasks of checking those property types, and the companies in the supply chain, to ensure that products, such as windows and doors, meet SBD standards and are security compliant, thereby removing a significant administrative burden. A national trade association has called for a more consistent approach to acoustics to protect society from the impact of excess noise, while Isover has created an acoustic CPD module for builders and specifiers. The move comes as a new White Paper, ‘Building Our Future; Laying The Foundations For Healthy Homes and Buildings,’ reveals that almost 40 per cent of the UK population is subjected to noise pollution, with a knock-on effect on public health. Regulations were laid in Parliament last week which will give legal effect to the combustible materials ban announced in the summer. The ban means combustible materials will not be permitted on the external walls of new buildings over 18 metres containing flats, as well as new hospitals, residential care premises, dormitories in boarding schools and student accommodation over 18 metres.